Kevin and Tamela Kerwin of rural Delia are proud to announce the engagement and approaching marriage of their daughter, Amanda Marie Kerwin, to William (Billy) Joe Engler of Manhattan. Billy is the son of Leslie and Mark Oberhelman of Manhattan and William and Lois Engler of Burlingame. The future bride graduated from Rossville High School in 2004, Allen County Community College in 2006 and Kansas State University in 2009 with a bachelor’s degree in apparel and textiles with an emphasis in marketing. She is employed by GTM Sportswear as a spirit sales representative in Manhattan. The future groom is a 2004 graduate of Manhattan High School. He is employed with Ebert Construction in Wamego as a bridge carpenter. He is also the owner of Fancy Flooring Hardwood Floors. He started the company in 2011. 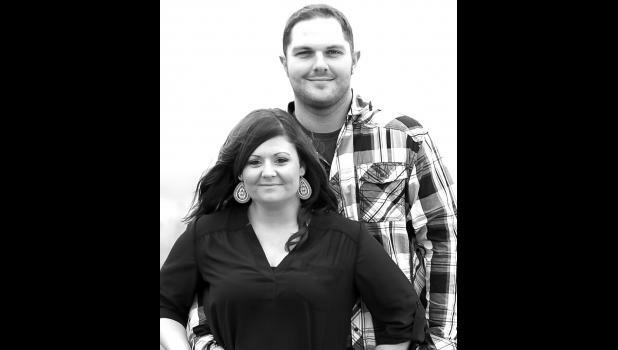 The couple will exchange vows and begin their lives together as husband and wife on June 27, 2015 in rural Wetmore.